Kayla Fratt is a dog behavior expert who also loves working with cats, people, and birds. She owns her own remote dog training business and loves freelance writing. Kayla is a science-lover and world traveler. She's been to seven countries (so far) with her border collie, Barley, as they drove from the United States to Argentina together! Kayla started working as an animal trainer in high school, training injured falcons for educational shows and racing homing pigeons. In college, she started volunteering at a rescue that specializes in rehabilitating extremely fearful and aggressive dogs. 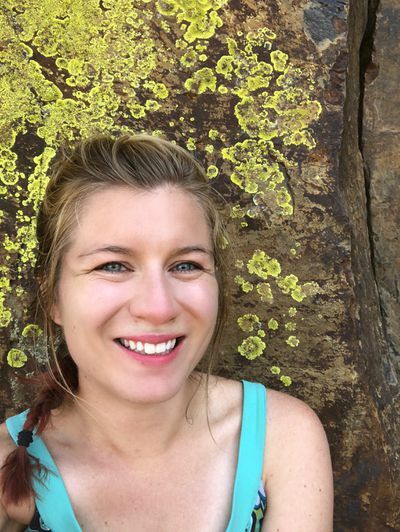 She worked in the communications department of Conservation Colorado, an environmental nonprofit, before getting a job at the 4th largest animal shelter in the U.S. There, she continued working with behaviorally changing dogs and cats. She now splits her time between her own remote animal behavior consulting business and freelance writing about animal behavior. Kayla has a degree in biology from Colorado College. Her liberal arts education set her up well to mix her love of writing and education with her skills as a dog trainer. Kayla is also a member of the International Association of Animal Behavior Consultants, a prestigious organization for animal behavior educators. Kayla has also taken continuing education courses on canine aggression, feline litter box problems, writing, and remote animal behavior consulting.